“Consumers really have no idea of the toxic chemicals contained in the paper towels they are using to clean their home, including areas like the refrigerator and other food preparation and storage areas”. You’ve probably never considered this, but the paper towels you use in your home every day are a recognized and documented health hazard. We’ve all been using them for years without giving it a second thought, but what most people don’t realize is that paper towels are toxic. Toxic to people, pets, and the planet. Are there toxic chemicals in paper towels? The paper towels sitting on your kitchen counter, in your washroom cabinet or even at your workplace may seem like a mundane necessity in your everyday life. There are toxic chemicals in paper towels — chlorine and formaldehyde are two of the most serious. When we use paper towels, these toxic substances enter through our skin and get into our blood stream. The most dangerous of these toxins is chlorine and if the paper towel you use is white in color (most are), it looks that way because it was processed with chlorine. Chlorine creates dangerous toxins such as dioxin and furans. These toxins accumulate in our bodies with long term exposure and can alter our DNA over time, creating dangerous health concerns, including cancer, hormonal disorders (dioxin is a hormone disruptor), immune system impairments, reduced fertility and birth defects. Scientists believe bleached paper towel contains the most carcinogenic chemical known to science – DIOXIN, a bleaching byproduct. Have your ever wiped your child’s mouth with a paper towel, or dried your pet’s food bowel with one? Ever cooked bacon in the microwave with a sheet of paper towel over it? A frightening thought, isn’t it? Dioxins cannot be excreted by our bodies, so they just accumulate over time creating a very dangerous situation. Once released into the environment, Dioxin is persistent because natural bacteria cannot effectively break it down. The long term effect is that ongoing exposure to dioxins over the years creates a build up of this chemical in our body, which can ultimately severely impact our health. These types of chemicals have the ability to alter our DNA, which is often what leads to cancer, especially after continuous exposure over the long term. Many studies have found correlations between high exposure to dioxins and a increased risk of cancer. You should also be aware that there are also dangerous dioxins in white paper coffee filters. Each time you make your morning coffee using conventional paper filters, 40-70% of the dioxins in the filters are leaching into your coffee. In study on BPA, it was discovered that “the concentrations [of BPA] are very high in paper products.” This includes paper towel made from recycled paper. According to a study, formaldehyde is used “to improve the wet-strength and other “valued” characteristics of paper and paper products”. The National Toxicology Program has classified formaldehyde as a known carcinogen (the word carcinogen refers to substances that are known to cause cancer). Everyday, over 3,000 tons of paper towel waste is produced in the US alone and to make the matter worse, decomposing paper towels produce methane gas, a leading cause of global warming. To make just one ton of paper towels, 17 trees have to be destroyed and over 20,000 gallons of water have to be polluted. That’s more than enough water to feed a community of 40,000 people per day. In addition, an average person uses 2,400 to 3,000 pieces of paper towels each year. At the current average store price, you’re spending well over $100 per year per person in your household, or over $400 for a family of four, on these harmful paper towels which are dangerous to your health and so blatantly environmentally unfriendly. The cancer risk alone that comes from long term exposure to the toxic chemicals in paper towels is causing many people to stop buying paper towels “cold turkey” when they learn about the toxic burden this everyday household supply is putting on them and their families. But that begs the question, if you toss away the paper towels, what do you use instead? One company now produces a fully washable and re-usable eco-friendly alternative to paper towels. The “re-usable” aspects has the added benefit of saving consumers hundreds of dollars per year on the cost of paper towels. Buts what’s even more noteworthy is that these checmical-free, eco-friendly cleaning cloths have been specifically developed to clean with only water – no toxic chemical cleaning products required! At first I thought these were pretty much like a micro-fiber cloth, but with a little more investigation, I realize that they are nothing like micro-fiber – they’re patented design makes them MUCH more absorbant, and effective at really getting surfaces clean, without the needed for cleaning products. The “cleans with only water” part is a huge additional benefit if you’re concerned about the toxic load on your body. If the toxic burden from the paper towels we use is not enough, all those chemical cleaning products we use everyday to keep our homes “clean” and germ free (how ironic!) pose a similar health risk and place additional toxic load on our bodies, threatening our health over the long term. This is why I (and many others) strongly recommend you stop buying commercially produced chemical cleaning products and switch to just using vinegar and water – vinegar is a very effect natural cleaning product and germ killer. I remember as a kid growing up, my mom uses vinegar as a cleaner, singing its praises as a natural discenfectant and people would look at her funny! But it was just one of the ways that she was a woman ahead of her time, with a lot of wisdom about health and well being. Today cleaning with vinegar is becoming the “it” thing as people at large start opening their eyes to the dangerous long term effects associated with all these toxic chemicals we expose ourselves to. We wonder why so many people who seemingly do all the right things (eat right, exercise, take their vitamins…) are ending up with cancer. What so many people are still unaware of is that our bodies are being overloaded by toxic chemicals in products we use everyday, and eventually that toxic load can alter our DNA, and that’s when cancer cells develop. So that brings us back to this chemical-free, eco-friendly alternative to paper towels and chemical based cleaning products. 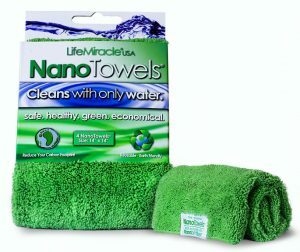 What I find really exciting about these innovative towels is that they are specifically designed to very effectively clean with water only. Using a patent protected, safe and environmentally friendly fabric, all you need is WATER to clean virtually anything, completely eliminating the need for chemical cleaners. When I first heard of this I wondered how that is possible. Water only? But here’s the explanation on how it works. This innovative fabric has specially developed long fibers which have specifically been designed to sop up water and spills better then the most absorpbant paper towels; and because of the patent-protected structure of these long fibers, they also have a unique ability to gather up dirt, grease and grime without using any cleaning products – only plain water. If you’re interested, product information is available here. What most consumers don’t realize is that there is actually no law that requires product manufacturers of chemical cleaning products to list their ingredients on the label or to even test their products for safety. That’s more than a little disturbing when you think about it. So consumers really have no idea of the toxic chemicals contained in the paper towels they are using to clean their home, including areas like the refrigerator, counter tops and other food preparation and storage areas. So, the bottom line is, think twice the next time you reach for that package of paper towels when you’re doing your shopping. 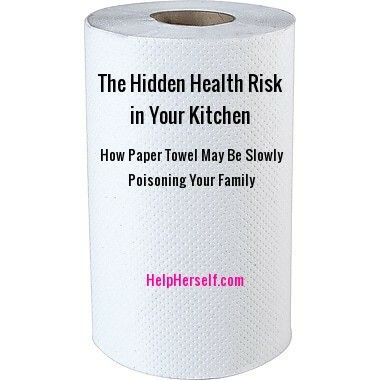 Consider the potential long term health risk it may be having on you and your family each time you go to use a sheet of paper towel in your kitchen or elsewhere in your home. The chemicals in products like paper towels are what I refer to as “quiet killers” – they are quietly doing damage to your health over time, well you remain completely oblivious. Then one day the unthinkable happens to you or someone you love, and you wonder: Why? How? But now we are getting wise as to why and how its happening. 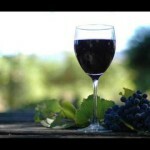 Its time to stop exposing ourselves to these toxic chemicals and better protect our health and that of our loved ones. If you’d like more information on the chemical-free re-usable paper towel alternative that cleans with only water mentioned in this article, visit the website. 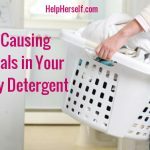 If you’re starting become wise to the serious long term damage that some everyday household goods are quietly placing on our bodies, you’ll want to read Toxic Chemicals in Laundry Detergents – before you do that next load of laundry. Not intended for the treatment or prevention of disease, nor as a substitute for medical treatment, nor as an alternative to medical advice. Use of recommendations is at the choice and risk of the reader. 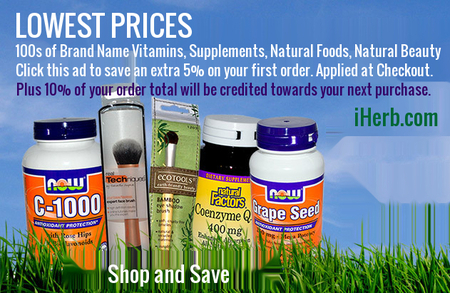 PAID ENDORSEMENT DISCLOSURE: Helphereslf.com may receive a commission for products we recommend. 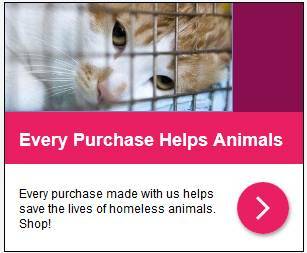 We only recommend products and services we genuinely believe in and which we do or would use ourselves. Any commissions earned help cover the costs of operating this site. This article lost all credibility (for me) as soon as I realized it was promoting a towel. Why disregard the facts reported in the article – including the citations of scientific studies? We recommended an environmentally friendly alternative to paper towel that actually addresses these environmental problems for those who are concerned about it. I’m not seeing how that would negate the facts cited in the article.